Timing is everything. It is used by the most strategic communicators to insure their message doesn’t hit a busy news day and is drowned out by other stories. Johnson & Johnson’s announcement Thursday that they are suspending their defined benefit pension plan for employees who join the firm after January 1, 2015 was a timed release. Thursday was September 11, Patriot’s Day in the United States and a day of remembrance when the news media, even the business media was focused on what happened in America thirteen years ago. It was the perfect day for the world’s biggest maker of health care products to release that news to media. On September 10, J&J management presented a rosy, yet cautious picture at the Morgan Stanley Health Care Conference. On September 11 you tell your workforce the pension plan won’t be there for your kids when you get them hired. Timing. So, this is the part of the blog post, where I share in full transparency that I am an early retiree of J&J. At this point, I know from the scant news coverage this story garnered, that current retirees (like me) and active employees are not impacted. This action is for new hires and re-hires after 1/1/2015, I know that because I read it on the Internet. I probably have a letter coming from J&J’s benefit service center’s HQ in Lincolnshire, IL explaining I am not impacted at all. That letter hasn’t arrived yet. Timing. I am certainly not surprised J&J’s defined benefit plan went away. I came to work for the company primarily because they offered the plan. In my 21 years of work prior to joining the health care giant my previous employers only offered 401(k) or defined contribution plans. In 401(k) plans you pay and the company matches. In defined benefit (DB) plans, the company pays 100% and you are guaranteed* a set amount for life or in J&J’s plan design until you are 90-years-old. I’ll figure out what to about 90 to death when I get there. According to a report by Towers Watson, an employee benefit consulting firm, about 24% of Fortune 500 companies offer “DB” plans to new hires in a considerable decline over the years. 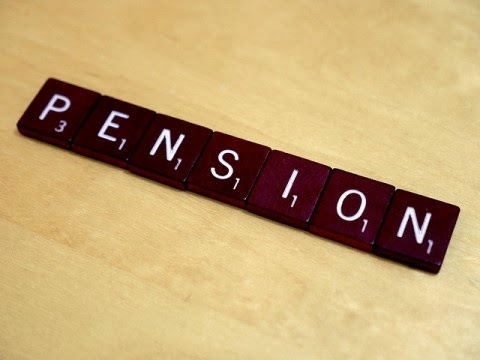 Hopefully, you read the previous blog post: Pension Smoothing, Potholes & Pork. I highly recommend it. All I know is when I do get ready to tap into my DB money, I hope there is a big pile of cash with my name on it and the plan is not “short” (aka underfunded, broke, busted…). Timing. people consider at just about any Jobs for administrator Make sure to have completed enough research for you to comfortable about details gain access to from home. eToro is the best forex trading platform for newbie and established traders.